Read on to learn about Kent Kim ’05 and his work with StuyPrep! What is your connection to Stuyvesant and the StuyAlumni community? I am a graduate of the class of 2005. I decided to become more involved with the Stuyvesant High School Alumni Association after meeting Soo Kim ’93 [SHSAA President] through work. 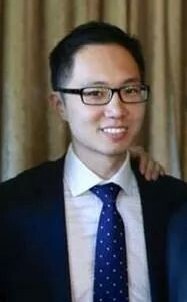 I initially volunteered with the Stuy Mentoring Program, which is a great program that [Director] YanJie Hou ’06 founded, that connects alumni with current students. While being involved with that, I heard about the initial ideas for StuyPrep, and the ideas sounded very interesting to me. StuyPrep is an initiative that seeks to help students from underrepresented neighborhoods of New York City gain admission to the specialized high schools. In our first year, we hosted 31 middle school students primarily from Brownsville, Brooklyn for a twelve week course that met on Saturday mornings at Stuy. We worked with the Princeton Review to provide a more formal SHSAT class, and also paired each student with a “coach.” All of the coaches were either current Stuyvesant students or alumni. In between those weekly meetings were countless phone calls, FaceTime/Skype sessions, and e-mails between our StuyPrep volunteers and the students or their parents. I think it’s a very exciting program that combines elements of traditional test prep, traditional mentoring, and outreach. What other SHSAT program provides every single participant with the opportunity to work personally with a person who has already climbed to the summit of the SHSAT? What inspired you to push for StuyPrep? You have played a large role in getting the ball rolling and ensuring that this program succeeds. The catalyst was in early 2016 when I was watching and reading all the negative reporting on the lack of diversity at the specialized high schools, and how the SHSAT’s role as the sole admissions criterion is the root of these evils. I can’t say a standardized exam is the perfect system, but what system is perfect? Candidly, I thought a lot of the rhetoric was not helpful and a bit lazy. I believe that the reality is the education achievement gap begins far earlier than eighth grade due to much more deeply-rooted systemic issues. To change Stuy’s admissions criteria to engineer statistics is really like slapping a band-aid on a deep wound. That being said, I don’t think the right solution is for Stuy to simply ignore the diversity issue. My hope with StuyPrep was to heighten the level of awareness about the specialized high schools across New York City, and to provide encouragement, support, and the right roadmap to students. How are the middle school students doing? Any notable achievements? The SHSAT will be on October 22nd this year, and we’ll know the final results sometime early in 2017. However, there are a number of things that I think are notable. First, over the course of 12 weeks, the average attendance for our middle school students was 94%, which I think is spectacular and is evidence of their dedication and that of their parents. Also, the students took a diagnostic exam prior to the start of the program, and we administered a timed, full-length SHSAT in the second to last week of the program. Between the pre-program test and our last practice exam, the average score increase 13 points (out of 100). We had two students increase their scores by 30 or more points, and another six students that increased their scores by 20 or more points. Had the pre-program diagnostic been the actual SHSAT, only one student would have qualified for any of the specialized high schools. If our last practice exam is an indication, seven or eight of the children would have gotten into a specialized high school, and there are several more that are within a stone’s throw of making it into Brooklyn Tech. This includes five students for whom I believe Stuyvesant is a realistic goal if they continue working hard until October 22nd. What are your future goals for the StuyPrep program? I would love to see the program expand. We have to deal with the realities of funding and budgets, but my near-term goal is to triple the size of the program to 100 students next year if we can. Providing assistance to 31 students is great, but I’d love to see StuyPrep become a real program with scale.